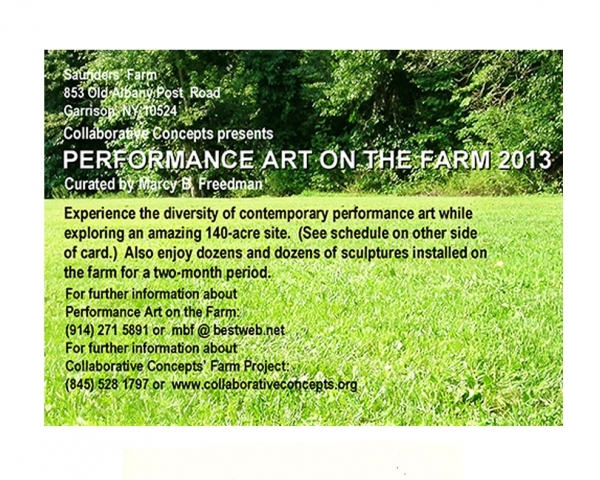 Once again, I was invited to serve as Curator of Performance Art on the Farm. As always, my goal was to highlight the broad range of form and content that is possible within the genre of performance art. The issue of climate change was addressed in a physically demanding performance by Maria Driscoll McMahon. 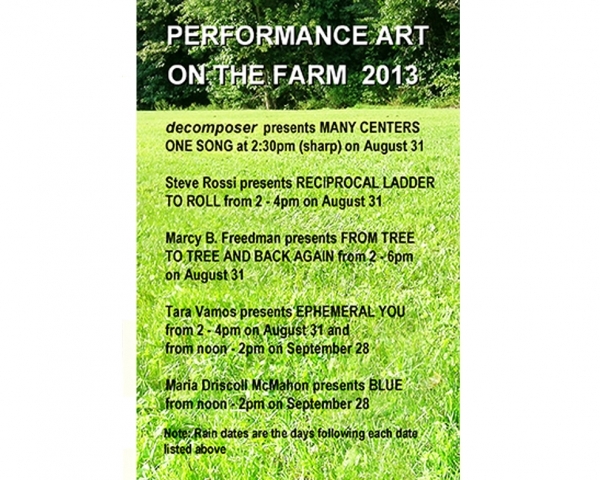 Music was used by Tara Vamos, who created personalized songs for farm guests, and by “decomposer” — a group of four anonymous artists who acknowledge John Cage as a source of inspiration for their performance. Steve Rossi employed an unusual prop in order to challenge some of our basic assumptions about American society. Finally, I convinced farm visitors to participate in a shared meditative experience designed to foster communication with nature and with other human beings.